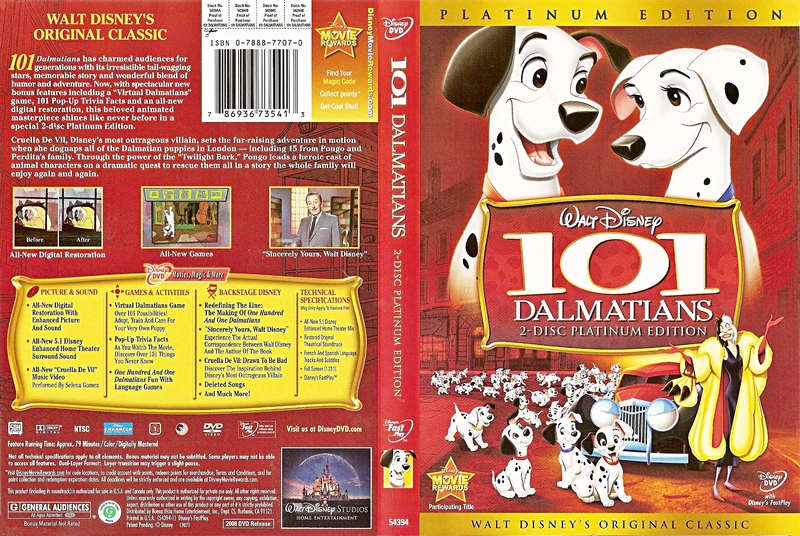 Walt Disney DVD Covers - 101 Dalmatians: 2 Disc Platinum Edition. Walt Disney DVD Cover of 101 Dalmatians Platinum Edition. HD Wallpaper and background images in the personnages de Walt Disney club tagged: walt disney characters walt disney dvd covers walt disney platinum editions 101 dalmatians platinum edition 101 dalmatians cruella de vil. This personnages de Walt Disney photo might contain signe, affiche, texte, tableau noir, tableau, and affiches.